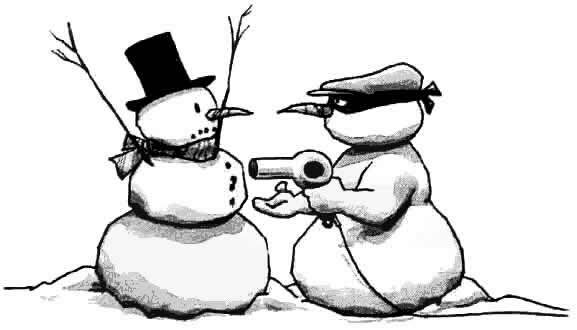 First Joke of the Year! The United States Army has succeeded in building a computer able to solve any strategic or tactical problem. Military leaders are assembled in front of the new machine and instructed to feed a difficult tactical problem into it. They describe a hypothetical situation to the computer and then ask the pivotal question: attack or retreat? The computer hums away for an hour and then comes up with the answer: "YES." The generals look at each other, somewhat stupefied. Finally one of them submits a second request to the computer: "YES WHAT?" Instantly the computer responded: "YES SIR." be your best year ever! For all you sub gun enthusiasts out there frothing at the mouth waiting for the History Channel machine gun shoot program coming up on January 3rd., here's a video of the Sub Gun shoot a few weeks ago at Leona, Texas, complete with a Stones background track! It looks like they had lots of interesting stuff to shoot. Anybody know what the one is that looks like the top of a slide projector? What does 2006 have in store for us? 'bout time for a new contest, I'd say, so here we go! 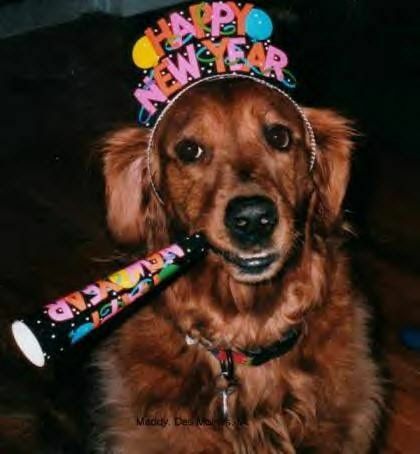 Let's have your predictions of things that will happen in 2006. 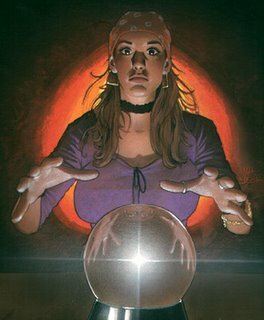 What kind of predictions am I looking for? Well, take a look at any of the tabloid newspapers at the supermarket, that will kinda set the tone. I'm looking for predictions of things that would be a surprise if they actually happened, but COULD occur. Predictions of things that can already be expected to occur don't count. For example, predicting that "it's going to be hot in Death Valley next Summer" doesn't cut it, but predicting "a foot of snow in Phoenix on the 4th. of July", and then having it happen, would be a hard one to beat! Predicting that "Saddam gets convicted" doesn't make the grade, but predicting that "Saddam gets acquitted, then opens a day-care in San Francisco", anyhow, I think you get the idea. Alien landings, world records, scientific developments, politics, supernatural stuff, it's wide open. Let your imagination, sense of humor, and creativity be your guide. Remember that the predictions, if they come true, must in some way be verifiable. or leave them in the comments below for this post. I'll do a follow up post listing the best ones in a week or so, and at the end of the year we'll bring them back out and see how well you did at predicting the future! Get out your crystal balls!! I wonder if they'd loan me one for a range report? Grumpy customer: "What makes you think I'm a Christian and celebrate Christmas?" Sales Clerk: "Well, then, have a Happy Holidays!" Grumpy customer: "Why do you think I celebrate any holidays at all?" Sales Clerk: "OK, then have a nice day............"
Denise over at The Ten Ring has a good post up on her M1 Garand, including a bit of history on the Garands, and on John Cantius Garand, the inventor of these fine rifles. While you're there be sure to wish Denise and Yosemite Sam a happy Year One Blogiversary. I wonder if they'll go buy a gun to celebrate BBAGA? Many of you in Washington State may have noticed that our un-elected governor has proposed a supplimental budget of an additional 504 million dollars to add 500 more state employees and create some more holes in the ground into which the state government can pound money. AnalogKid at Random Nuclear Strikes has a good post that goes into more detail on this disaster. The basic philosophy seems to be to tax the citizens as much as possible, and in as many ways as possible, then redistribute the money by hiring more state employees, building more state buildings, and creating more state agencies. A couple of years ago the voters of Washington State, through the inititive process, and successive legal battles, made it the law that vehicle license tabs would cost $30 for everyone. I just got the renewal notice for my 1969 Ford van in the mail, and guess what? 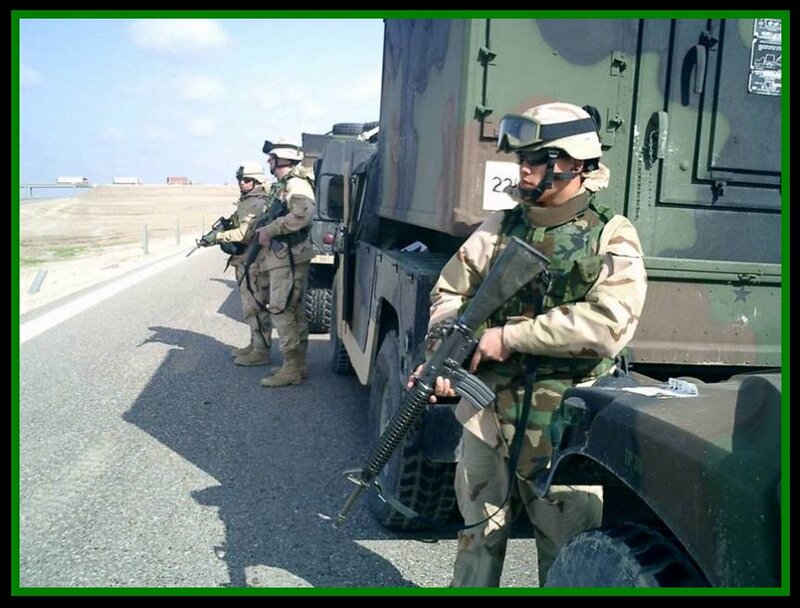 The cost to renew the tabs is $30.00, plus a $3.75 "handling fee" plus an additional charge based on the weight of the vehicle as follows: Up to 4,000 lbs add $10.00, 4,001 lbs to 6,000 lbs, add $20.00, 6,001 lbs to 8,000 lbs add $30.00, and 8,001 lbs to 10,000 lbs add $32.00! To make it even worse, due to the age of my poor old van, it's not listed in their books, so it's up to ME to provide documentation as to the weight of the van! If I can't come up with documentation to their satisfaction, then I will have to take the van to a certified weigh station and pay to have it weighed. "In the first place we should insist that if the immigrant who comes here in good faith becomes an American and assimilates himself to us, he shall be treated on an exact equality with everyone else, for it is an outrage to discriminate against any such man because of creed, or birthplace, or origin. 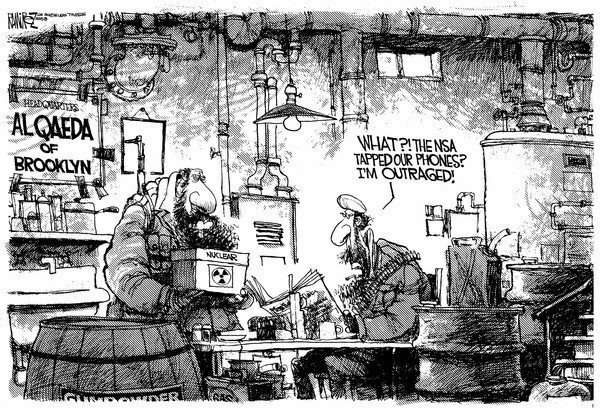 But this is predicated upon the man's becoming in very fact an American, and nothing but an American ... There can be no divided allegiance here. Any man who says he is an American, but something else also, isn't an American at all. We have room for but one flag, the American flag, and this excludes the red flag, which symbolizes all wars against liberty and civilization, just as much as it excludes any foreign flag of a nation to which we are hostile ... We have room for but one language here, and that is the English language ... and we have room for but one sole loyalty and that is a loyalty to the American people." 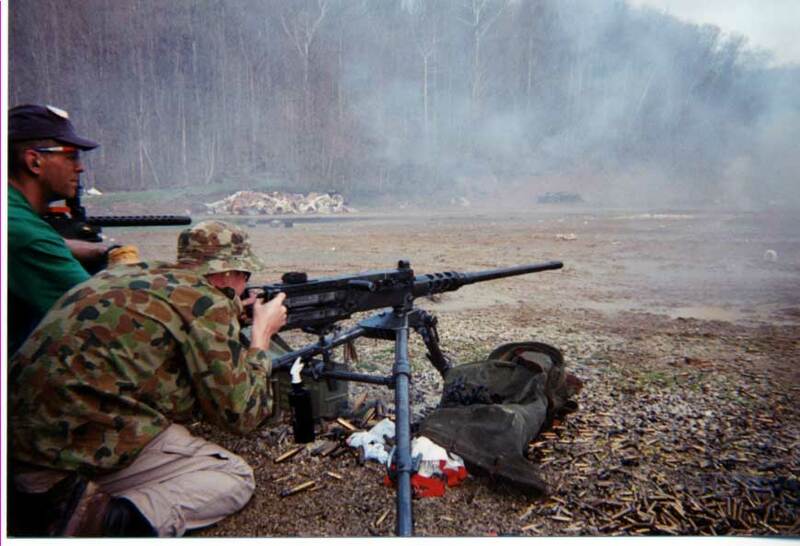 Knob Creek Gun Range: #90. Host R. Lee Ermey heads to Knob Creek Gun Range in West Point, Kentucky, outside of Fort Knox, for the Knob Creek Shoot, a weekend when machine-gun owners and collectors converge for unbridled mayhem. At this former military-munitions test range, shooters nationwide come to buy, sell, and trade. First, the Gunny shows us around, talks about the history, hits sales tables, and fires off a few thousand rounds--from state-of-the-art to early vintage. Next, Lee takes a turn on the "Jungle Walk", a machine-gun shooting course with hidden targets and dense brush to recreate what it was like for the grunts in Viet Nam; and he gets a lift on a mule to the Knob Creek helipad where he goes aloft in a Cayuse OH-6A Helicopter for the range's aerial shooting course. Then, it's the night shoot, when you really get to see raw power as machine guns shoot tracers and fire at targets filled with diesel fuel and dynamite, incinerating cars, refrigerators, and oil drums. Now, since not all of you have access to the History Channel, you can download the entire program and watch it at your leisure. Be warned, however, that it's a 47 meg. file! If you don't have broadband, don't even try! 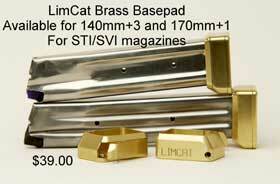 JJ Racaza Demonstrates the "Quick Reload"
Johnny Lim at Limcat has developed a brass base pad that speeds up mag changes, and JJ Racaza has a short video showing off how it works. Man, is he FAST! You gotta go have a look. 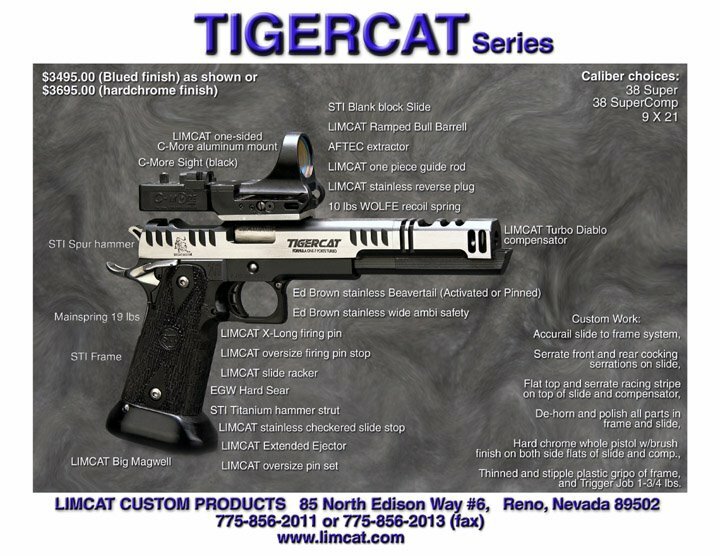 While you're there, check out Limcat's custom race guns. Impressive, to say the least! 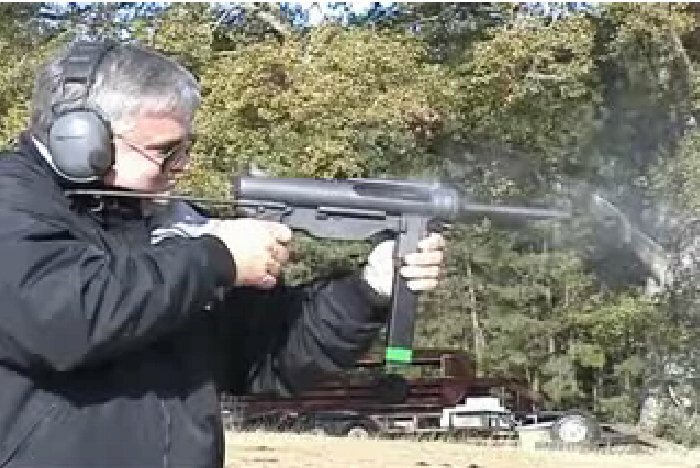 KeeWee over at KeeWee's Corner has done a gun review on the JA-RU Spud gun she received for Christmas. You gotta go read it! Came across this picture of the Lincoln on SondraK's blog the other day, and decided it was worth stealing, so I did! SondraK's cat "Seven" just recently had to be put to sleep, and all of us with furry family members know how hard it can be. You might drop by and tell her that she and Seven are in our thoughts. 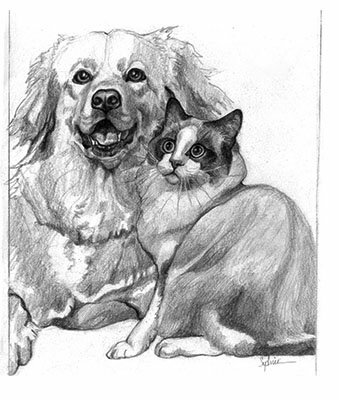 Several of my favorite bloggers have recently lost pets, including Mostly Cajun and Xavier Thoughts. Hopefully they will come across this story, and they will feel a little better. A commenter left the story of the Rainbow Bridge in her comments, and I have posted it here, too, in case you haven't seen it before. 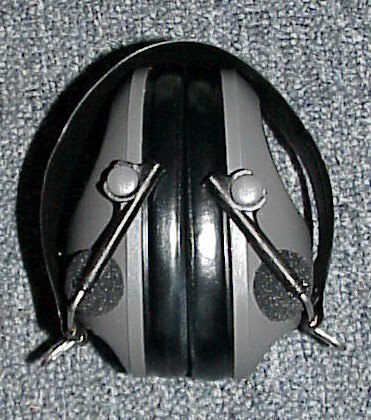 I'd been considering trying some of the electronic hearing protectors for some time,and when CWSA announced that they were going to add Steel Challege matches to next year's schedule, I could see the writing was on the wall. When shooting bowling pins and hanging plates, you don't need to be able to hear anything beyond the start buzzer. With pins you can tell when you hit it because it leaves the table, hopefully. With plates, you only get one shot per plate, so it's up to the scorer to figure out how many you hit. Steel Challenge, however, is a different story. It's up to the shooter to determine if you missed a plate, and if you did, you want to shoot it again to avoid penalties. You need to be able to hear the bullet hit the plate. Not easy to do if you have a non-electronic muffs. When I saw Midway USA put the Peltor 6S on sale for about $65.00 bucks, I grabbed a set to try them out. The basic concept is that they put a small audio amplifier and speaker inside each ear piece, with separate volume controls on each side. A small foam covered microphone is mounted on the from of each muff, and supplies audio to the amplifier and speaker. At lower volume levels, sounds are picked up by the microphone and transmitted to the speaker inside the muff, producing realistic sound in normal conversation. Since there are two microphones, one for each ear, you have stereophonic sound, and you can tell from which direction a sound is coming from, just as if you weren't wearing hearing protectors. That is, if you have the volumes set approximately the same. Set one higher than the other and it sounds like the sound is coming from a different direction than it actually is! Kinda weird the first time it happens. High intensity sounds, like a gun shots, are also picked up by the microphones, but due to the intensity, the sound volume is instantly turned way down blocking the loud noise. 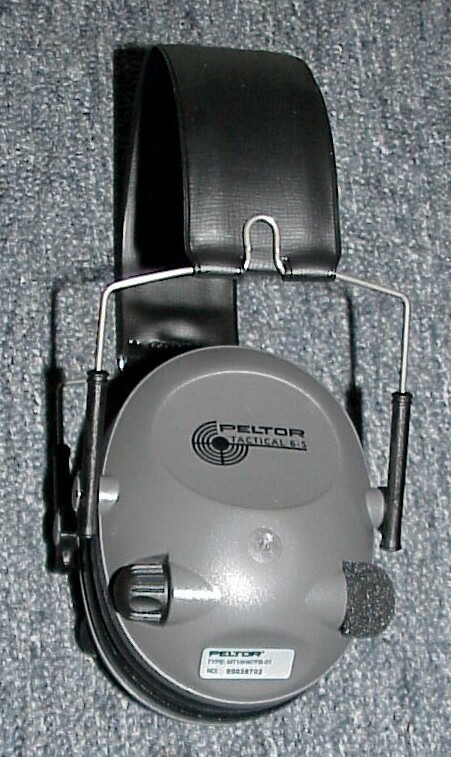 The Peltor's are light weight, and quite comfortable. Putting the batteries (2 AAA's each side) into each muff is easy enough, once you get the ear cushion part pried off. The instructions say you can get it open with your fingers, but a slot is provided for using a small screw driver, which is a lot easier. The Off-On/Volume knobs aren't particularly positive when you click them off, so you have to be careful not to bump them, turning them back on, thus running down your batteries. ALWAY carry spare batteries! 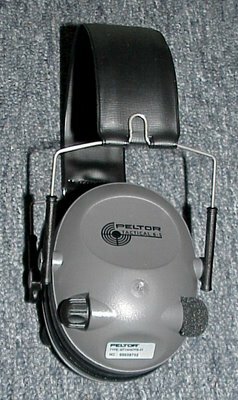 Another feature of the Peltor 6S is that you can take the muffs off and put them back on upside down, giving more clearance for a rifle or shotgun stock. Big thick hearing protectors can be a problem, especially for shotgunners. Now that I've shot several matches and a lot of practice with the Peltors, I have no hesitation recommending them. The are reasonably priced, comfortable, and seem to do just what they say they will do. Probably the best recommendation I can give them is that I gave KeeWee a set of Peltors for Christmas! and go get a life. 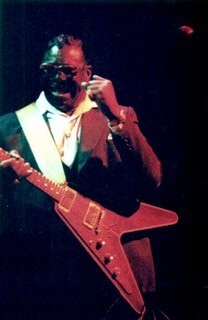 but I'll be back at it on Monday...... .
As a short break from all of the Christmas music, here's a live concert video of a little blues, by some guys that know how to get it done; Albert King, Stevie Ray Vaughan, BB King, and Paul Butterfield, with a few side-men thrown in for good measure. Click here to go see the video! Click here for a little more of Albert King. As if you haven't got enough things to waste your time with, here's one more. Make up your own tombstone with whatever words you choose! Walking through Wally-World the other day (an ammo run), Mr. Completely once again caved in to a gun purchase. Not only can he not pass up a good deal on a gun, he can't even pass up a good deal on anything that LOOKS like a gun, particularly if it looks handgun-ish and it has a long barrel. The fact that it's also a pump and was priced at $24.95 probably sealed the deal. It came with everything in the picture, except the paint balls, which cost about the same as bulk .22 long rifle ammo. The yellow-greenish thing that looks like a wind-up key is a barrel plug. With it inserted into the muzzle, if a round is fired, the plug will break up the paint ball and it will come out through two channels in the plug as a couple of small streams of lumpy paint, at least that's how it looks. Haven't tried it yet, and don't plan to, either! 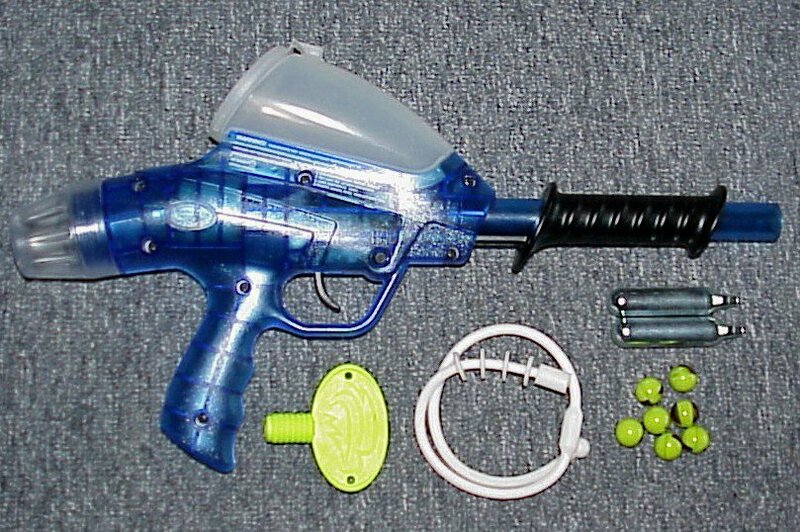 The white coiled up thing is a "SqueeGee", the paintballers equivalent of a bore-snake. 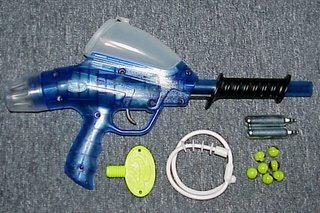 The translucent hopper on the top is for holding paint balls. It's also where the sight would be, if it had sights, which it doesn't. 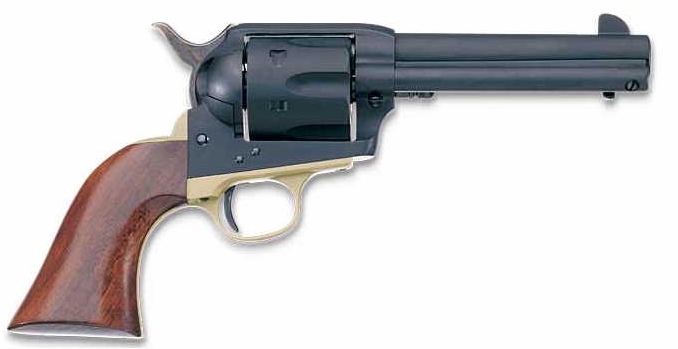 On something like this sights are probably not much more than wishful thinking, being it's a round projectile fired through an unrifled barrel. Moving the hopper to the side, or maybe some sort of tubular feed would allow a red dot to be mounted. I'll have to look into that. 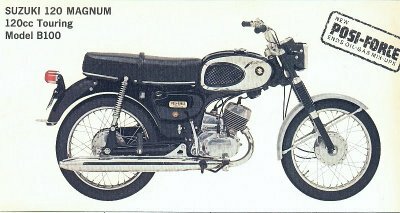 Propulsion is provided by two CO2 cylinders that install under the clear thread-on rear cap. I'm sure the small size of the cylinders severely limit the number of shots you get. More serious paint ball markers (they don't call them guns!) have a much larger CO2 cannister. Certainly inadequate for regular paint-balling, but for the occasional stray dog in the yard, religious pain-in-the-necks, and travelling salesmen, it should work nicely. 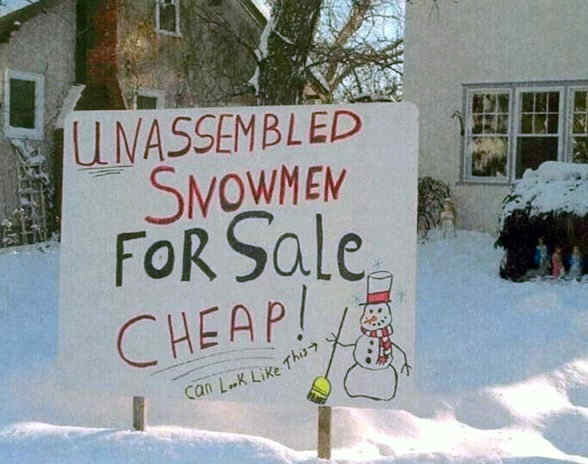 I wonder if you can buy .68 inch diameter hard rubber balls somewhere? Don't you find it irritating when drivers don't use their turn signals? I always figured it was because they considered themselves to be supreme beings who owned the road and weren't required to share their driving intentions with us mere mortals, and that I should consider myself privileged to even be allowed to use a portion of THEIR road. This definitely explains why you see so few cars using their blinkers, doesn't it? Otherwise, you'd have to believe that lots of people don't know how to drive." I regret to inform you that, effective immediately, I will no longer serve Georgia, Florida, West Virginia, Virginia, North and South Carolina, Tennessee, Kentucky, Mississippi, Arizona, Texas, Ohio or Alabama on Christmas Eve. Due to overwhelming current population of the earth, my contract was renegotiated by North Anerican Fairies and Elves Local 209. As part of the new and better contract, I also get longer breaks for milk and cookies, so keep that in mind. However, I'm certain that your children will be in good hands with your local replacement, who happens to be my third cousin, Bubba Claus. His side of the family is from the South Pole. He shares my goal of delivering toys to all the good boys and girls; however, there are a few differences between us. 2. Instead of milk and cookies, Bubba Claus prefers that children leave RC cola and pork rinds or a moon pie on the fireplace. And Bubba doesn't smoke a pipe; He dips a little snuff, so please have an empty spit can handy. 4. You won't hear, "On Comet, on Cupid, on Donner, and Blitzen..." when Bubba Clause arrives. Instead, you'll hear, "On Earnhardt, on Andretti, on Elliott and Petty." 5. "Ho, Ho, Ho" has been replaced by "Yee Haw." And you also are likely to hear Bubba's elves respond, "I her'd dat." dozens of state patrol cars crashing into each other. 8. Bubba Claus doesn't wear a belt. If I were you, I'd make sure you, the wife and the kids turn the other way when he bends over to put presents under the tree. 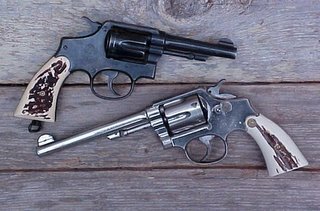 Xavier over at Xavier Thoughts have a good post up on the Smith & Wesson Military & Police revolvers, and why he likes them. He makes some good points as to why you should grab it if you get the opportunity. I’ve never been much of a spectator. If I go to some sort of event or another, I usually end up returning a few weeks later as a competitor, or else walking away and never returning. 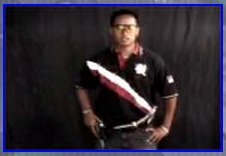 That’s what got me into handgun competition, and that’s what also got me into motorcycle racing. Not far from where I live, but many years ago, they used to put on regularly scheduled motorcycle races, called “scrambles”. This was many years before motocross racing appeared in North America. Scrambles racing was on a closed circuit dirt track, corners of varying radius and banking, turning both left and right. A jump or so was also a common feature. The start was usually done with all five or ten riders in the heat lined up side by side, motors running. The flagman would drop the green flag, and off everyone would go, trying to be into the first turn first, which was a big advantage. There were usually five or ten laps to a heat, and if you finished high enough in the preliminary heats, you would advance to either semi-finals or to the final heat. I made the mistake of going to the track one Spring day to see what it was all about. The next day at work I was talking to another engineer at the “Massively Big Airplane Company”, and he casually remarked that he had a nearly new Suzuki 120 that the clutch had broken, and he was willing to sell it cheap. If I’d been smart, I would have ignored him and walked away, but that’s just not my nature, not then, and not now, either! On Wednesday he loaded it into his car and delivered it to me. 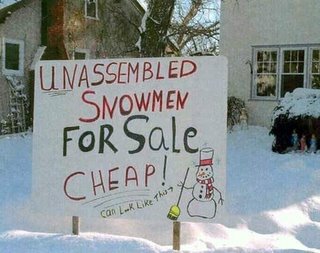 (He must have chuckled all the way home!) That night I pulled the clutch case off and removed the clutch. The clutch basket had broken loose from the primary gear, and would have to be replaced. Everything else looked OK. The next night after work I stopped off at the local “Suzuki Bandits” and bought a new clutch basket. While I was there I picked up a pair of knobby tires, 3.25x17’s they were! The next night after work I put the clutch together, filled the case with oil, took off the lights and mirror, and put on the tires. On Saturday I took the new “race bike” to the local gravel pit where people were allowed to ride around on their dirt bikes. There was a short scrambles-like course set up, and I rode round and around until I could slide it through a corner fairly smoothly. “All set to go!”, I figured. The next morning, bright and early, I loaded up the bike, a few tools, some lace-up boots, and my trusty Bell 500TX helmet and headed up to the track. The track was open for practice, so I laced on the boots and strapped on my helmet, jumped on the bike, and launched my self down the front straight towards the 180 degree turn at the end of the straight. I set up into the first corner from the right side of the straight, geared down, and laid the bike down to set up the drift into the apex of the corner. Weight a bit forward, left foot on the ground, slide smoothly into the corner, steering with the throttle. Or so I thought! As a motorcycle-racing novice, I hadn’t paid much attention to the track surface. Where I had practiced the day before was a gravel pit, and there was a lot of traction and loose dirt for the knobbies to dig into. The scrambles track was more like a surface of smoothly polished concrete, with a thin layer of fine dirt on top, almost like a lubricant! Oh yes, I forgot to mention, it was also heavily rutted through the corners. So I was going WAY too fast to make the corner, but I had established a beautiful slide entering the corner. Unfortunately the laws of physics and coefficient of friction, or lack thereof, all came into play, and I was sliding more or less sideways as I slid into the corner ruts. One basic rule of ruts: Try REALLY hard to go with them, rather than across them! There are basically two ways to fall off of a motorcycle in a corner, one is MUCH preferred over the other. If you are turning left for example, and the bike falls to the left, usually, you also fall off on the left. You and the bike usually just slide to a stop, you pick your self up, pick up the bike, re-start it, and head off. As long as you don’t hit anything solid, or get run over, it’s no big deal. The BAD way to fall off is called a “High-Side” and it can be really spectacular. That’s when, if you are turning left, the bikes tires “hook” and the bike comes up and falls to the outside of the corner, launching the rider to sometimes amazing heights. Getting “A lot of Air” (altitude) is not a good thing. The higher you go, the harder you land! Really hard. And to add insult to injury, your bike often does it’s level best to land on top of you, perhaps trying to punish you for falling off in the first place! First time on the track, first corner, high-sided into the weeds. Ouch! In those days it took a lot to due much damage to my body, so I picked myself up, and got back on. Down a short straight, then a hard right turn. High-sided out of that one too! At least I was now evenly bruised on both sides of my body! Obviously the reactions I had built into “muscle-memory” weren’t working. This time I headed out onto the track and found someone to follow who seemed to have some idea of what was going on. After running a number of laps following better riders, I started to get the feel of it, and was getting all the way around the track without falling off! Even at that durable and foolish young age, the high-sides were starting to take a toll on my body. When we got to the prelim’s, I finished somewhere in the middle of my group, but not high enough to make the finals. All things considered, I think I did OK, considering. Josh at South Park Pundit has done a smaller sidebar graphic for all of you bloggers out there, for those of you who think the bigger one was too big for your sidebar. Feel free to copy this image and put in on your blog sidebar, or link to it to display it in your sidebar. You should either link the graphic to this post that explains BBAGA, or copy the post into a post of your own, and link the graphic to that post, so when folks click on the graphic the info on BBAGA will come up for them. Don't forget that even if you are not a blogger, you can still celebrate BBAGA, just use the anniversary of your favorite blogger instead. Be sure to take some pictures, and send them to your favorite blogger, though, and maybe he'll post them for you. Come on, all you bloggers out there, let's see if we can get a new tradition started! These pictures are from "If I Die Before You Wake"
I got a short email from my friend Bill today. Attached to the email was an outstanding power point video titled "If I die Before You Wake." I hope you will watch and listen and say a prayer for all of those who have today the great privilege of leading and serving America and doing the real work vital to the cause of human freedom. Here's multiple links to the PPS video, in case one or the other of them doesn't work for you. 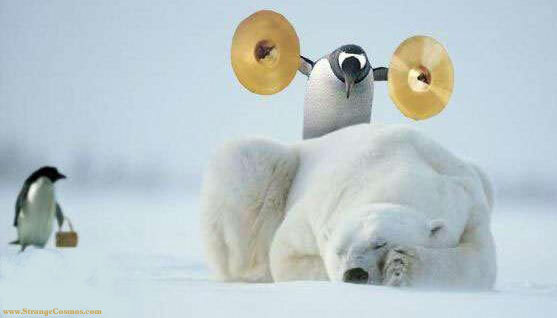 "If I die Before You Wake." Josh at South Park Pundit has a great blog, and he's also a pretty fair graphics guy, too! Here's the new sidebar graphic he put together for BBAGA. Check out the subtle flag in the background. All of you gun bloggers feel free to grab this graphic for your sidebar, and link it to this post so people will have some idea what we're talking about! If you want to swipe the whole post and post it on your own site, then link to your own post instead, that's fine, too. If this one's bigger than you want on your sidebar, we've got a couple of smaller ones in the works, too! Have fun with this, and don't forget, Mr. Completely says it's OK to buy a gun on your blogiversary, so don't pass up the opportunity!! Jerry the Geek at Cogito Ergo Geek has now reached his first year blogging "Blogiversary", so you might want to stop by and extend best wishes. Having given the "Blog Anniversary" issue some thought, it seems like some sort of commemoration is in order. 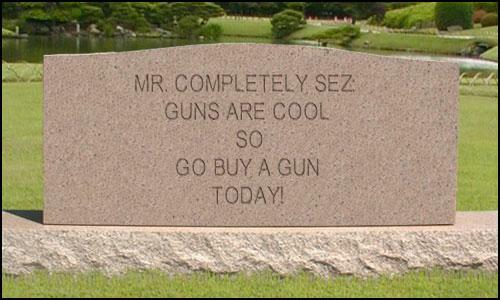 With that in mind I am proposing a Gunblogger National Holiday and Commemorative "Buy a Gun" day. 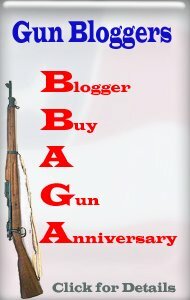 However, where most national holidays are on one certain day each year, BBAGA will be on a different day for each gunblogger, your blog anniversary! 1. Go buy that gun you've been wanting. 2. Buy a goodly supply of ammunition for your BBAGA celebration. 3. Buy as many accessories for your new gun as your wallet, and/or the trunk of your car will allow. 6. Shoot up all the ammunition. 7. Buy more ammo on the way home. 8. Post a report with pictures. 9. Congratulate yourself on a job well done. You deserve it. England equalled their heaviest defeat ever with a 165-run loss in the third one-day game as Pakistan's Kamran Akmal hit his second successive century. Put in to bat, the hosts reached 353-6, the most ever conceded by England, with Akmal hitting 109 and Abdul Razzaq 50. Shahid Afridi blasted 31 from 14 balls and Inzamam-ul-Haq 45 from 35. 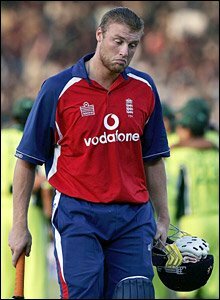 England never looked like matching the total and were bowled out for 188 in 42 overs, with Shaoib Malik taking 3-29 and Ian Bell the top scorer with 37. 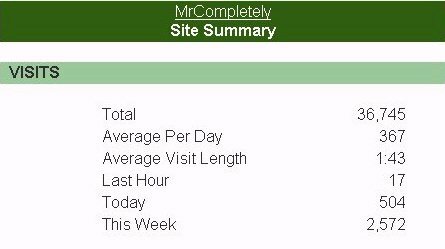 Over 500 Visits in One Day! Just before midnight last night we passed the '500 visitors in one day' milestone. 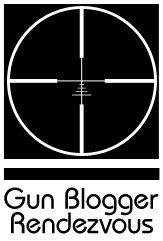 It a truly humbling experience to realize that over five hundred folks dropped by the blog for a laugh, some gun posts, or other information. I try to make Mr. Completely as unique as possible, seeking it's own niche, rather than trying to copy some other already successful blog. I try to find the interesting stories not being covered elsewhere, often the ones that you might not otherwise hear about. It appears that yesterday over five hundred of you dropped by for a visit. Hope you all had a good time and enjoyed yourselves, and drop by anytime. The fact that you are all enjoying the blog makes it all worthwhile! Here you go, a "two-fer"! 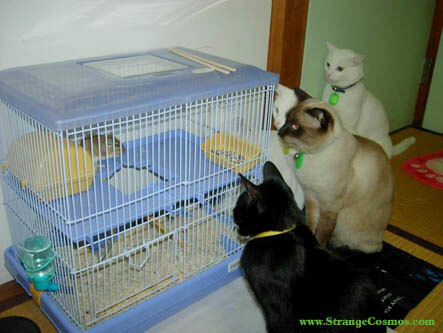 Not only a picture for you all to caption, but a little Friday cat-blogging as well! As I always do, I'll make a stab at a caption, and then you all come up with better ones..
"Mickey suddenly realizes that all the time he spent on those hypnosis classes was time well spent!" Just an update - Dan has regained movement in his right leg and is experiencing pain in his left leg, both results which were stated, "impossible" by the medical staff less than a month ago! Dan remains positive and determined. He believes that he will one day walk again, and with everyone's continued prayers, why not? Our family thanks EVERYONE for their prayers and financial support. We have received letters and cards from people all around the world. Thank you for caring about someone who did what he could to stop a tragic situation from being worse. It was a high price to pay, but that is just Dan! I'm one of Dan's friends, and I've been visiting him about every other day at the hospital. 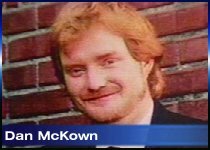 he said that the reason he put his gun away was because he didn't know the policy on hand guns in the public, and if the police had it under control. when Maldonado aimed to fire at Dan, Dan took out his gun, and tried to fire, but it was too late. I'm really proud of Dan, and he's been so positive throughout the whole thing. He's determined to walk even though doctors tell him that he probably won't. That takes some guts to talk to the shooter and do what he did. 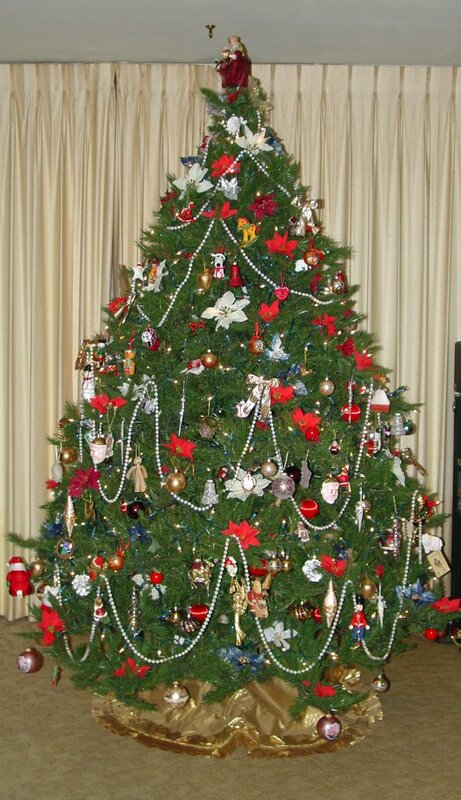 I thought I'd post a picture of our Christmas tree. KeeWee has quite a knack for decorating the tree, and Rocket and I do OUR part by staying out of her way. 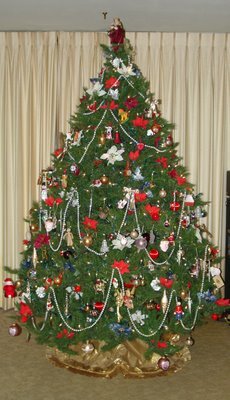 If I decorated it everything would end up in columns and rows, and if Rocket (the cat who owns the house where we live) had HIS way, the decorations would be all over the house, and would move around to new locations daily! UPDATE: KeeWee has a post up on the tree and decorations at KeeWee's Corner for more details. The Grendel P-10 is an interesting little pistol, and it has some very unique features. 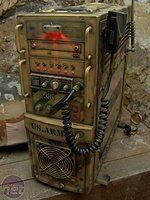 One of the first things you will notice is that for how small it is, it packs a lot of ammo, carrying 10 plus one in the chamber. To get this capacity, the magazine is non-removeable. To load the built-in magazine, you lock the slide back and push the rounds in from the top, like some rifles. The Grendel is quite small and light, not much bigger than a lot of .22 caliber handguns, but it packs a lot more punch with the .380 hollow points. The Grendel is double action only, and using a very light weight high velocity hammer and firing pin, carrying a round in the chamber is not a safety issue. The trigger pull is fairly stiff, and a relatively long travel, so it's not going to fire until you make the effort to pull the trigger all the way back to actually get it to fire. Carrying it with the chamber empty is even safer I suppose, but the purpose of the Grendel is to be able to get a shot off on very short notice and at very close range, possibly even one-handed. Absolutely perfect situational awareness might keep you from ever being that rushed, but maybe not, you just never know when things might go bad very quickly, and with little warning. Basic field stripping the Grendel P-10 is very straight forward. Pull the slide part way back until you can see the pin through the small hole in the side of the slide. Push the pin out with a punch, or even a paper clip. It's not tight, it should slip right out. With the pin out, the slide will go forward, and can be lifted off of the frame. Lift out the guide rod and spring. 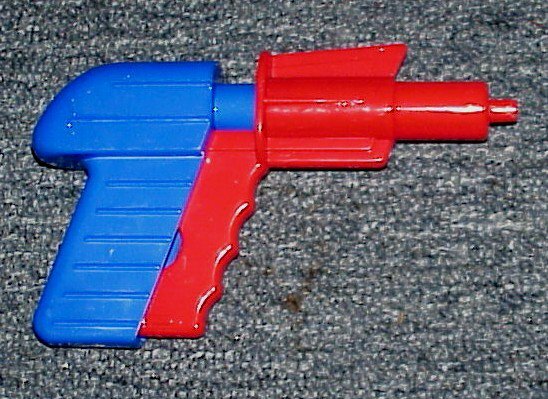 You can then lift the barrel out of the slide. That's it! 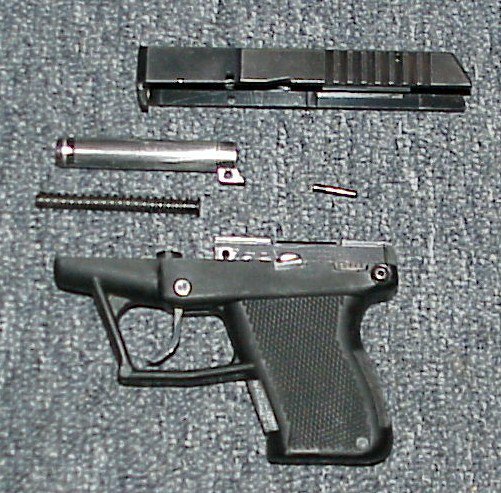 To re-assemble, drop in the barrel, put in the guide rod and spring, and slip the slide onto the frame. Push the slide rearward until the holes line up and push the pin back in. Be sure the pin goes through the hole in the bottom of the barrel as well as the holes in the frame. The reviews on the Grendel have been mixed, with a number of people having failure to feed or failure to eject problems. 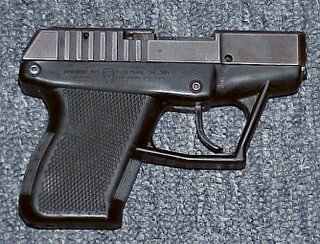 With a handgun as small and as light as this one, I can see that "limp-wristing" could certainly cause some feeding problems. I polished the feed ramp and all of the internal sliding areas of the Grendel shown, and have little to no problems at all. Perhaps I just got lucky and picked ammo that the Grendel likes, but it's worked OK for me. Shooting the Grendel provided me no surprises, except that for me it was more accurate that I expected. At ten feet keeping them all in a 4 or 5 inch group wasn't hard at all, and that's shooting it double action. In summary, the Grendel is a handgun intended as a backup, or as a carry gun when the size of a more suitable sized weapon is out of the question. A .380 is certainly a light-weight compared to a .40 or a .45, but it's also a lot better than a .22 or a .25 for stopping power. It definitely beats having no gun at all, and having eleven rounds available is not such a bad idea either. 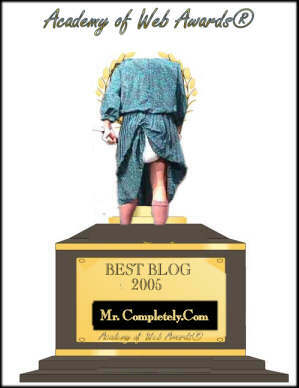 The Academy of Web Awards is pleased to announce the results of voting for Best Blog of 2005. Mr.Completely.Com -- selected by the blogging community, through the auspices of the American Academy of Web Awards ®, The Best Blog of 2005. Congratulations on winning the coveted "Bloggy." I'd like to thank my Mother, KeeWee, my cat Rocket, and of course, all of the little people who have stuck with me through thick and thin, as I struggled to make my way to the very top of the blogosphere. I think this is going to be my last meme for a while, mostly because I never have very much to put into them. Jerry the Geek at Cogito Ergo Geek is where this one came from. Five Weird Things About Me. 2. I have never seen a flying saucer, but I may have heard one! 3. Many years ago I learned to speak a little Tahitian, but I have forgotten it. 4. In competition, I always compete against myself, instead of against other competitors. I have won events and been dissatisfied with my performance, and I have finished far out out of the money and been pleased with how I had done. 5. I wrote my first computer program in 1969, and got paid for my time writing it. It's a good thing you didn't ask for REALLY weird, huh! There's a new British TV reality show underway where they've convinced a group of "Civilian Astronauts" that they are orbiting the Earth, when in fact, they are solidly on the ground in Suffolk, England on an old military base! They set up the base to convince the "Astronauts" that they were on a Russian base for space training for two weeks, then through state of the art simulations that they were launched into orbit. When they look out the cockpit window, they even see a visual of Earth! They have previous episodes, video, and even live video reports from the "shuttle" on the "Space Cadets" TV website. This whole thing sounds like an update to the old movie, The Magic Christian! 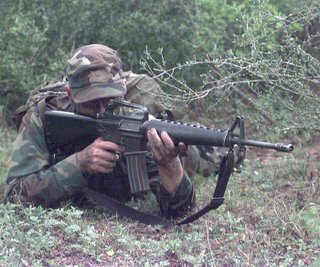 It's often been debated which is the better rifle, the M16 or the AK-47. Minh-Duc, an American Soldier with some first-hand experience with both of these weapons in Iraq, has written an interesting post on the subject. 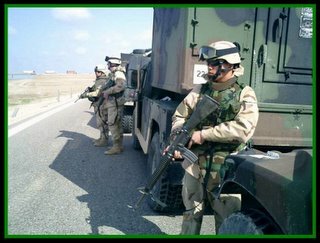 "There are those out there who hold the Kalashnikov in high regard, especially in comparison to the US M16/M4. The myth of Kalashnikov superiority is anything but a myth. It is in fact a very crappy weapon – for various reasons that I will discuss later. The belief that the M16/M4 is an expensive but fragile weapon is also an unfound myth." Now A REAL Sports Blog! Since the Mr. Completely blog was not included in the final fifteen sports blogs for the blog awards, I have carefully reviewed our editorial content, and have decided that since shooting sports aren't considered as sports by some folks, I should add some additional sports blogging to make us more acceptable for next year. As thirteen of the fifteen finalists were either football, baseball, or basketball blogs, either college or professional, I have decided to start blogging on some of those sports too. However, rather than rambling (<- note Georgia Tech. reference) on and on and often never even getting to the point (<- triple reference, basketball, fencing, and ballet), I will cut to the chase (<- track, NASCAR, fox hunting, and more....) and keep it short. So there you go, inciteful commentary, just like you can find on the sports blogs, or in the sports section of your newspaper, without having to read the whole thing to get the same message. You don't have to thank me, it's all part of the service! A big thanks to Gullyborg for all of the work he has put into all of the Carnival of Cordites for all of us gun enthusiasts. This is the last Carnival of Cordite until after the holidays. We all wish him a very Merry Christmas, and a Happy New Year! Sometimes you read about someone who does something so incredibly dumb that it sort of re-defines stupidity. I suspect this kid is a Dawrin Awards candidate in training. Also, "A 16 year old BOY"? How about a teenager, maybe? I've posted the entire article from the Florida Sun Sentinel , as it's not very long. Lake Worth · A 16-year-old boy who found a bullet in his back yard on Friday ended up shooting himself, Lake Worth police said. Jose Delgado played with the .45-caliber bullet shortly before noon at his house in the 1400 block of Tropical Drive in Lake Worth before using a hammer and screwdriver to hit the back of the bullet. The bullet fired and hit him in the abdomen, police said. An officer kept pressure on Delgado's wound until paramedics arrived and took the boy to Delray Medical Center, where he was treated for his injury and released. 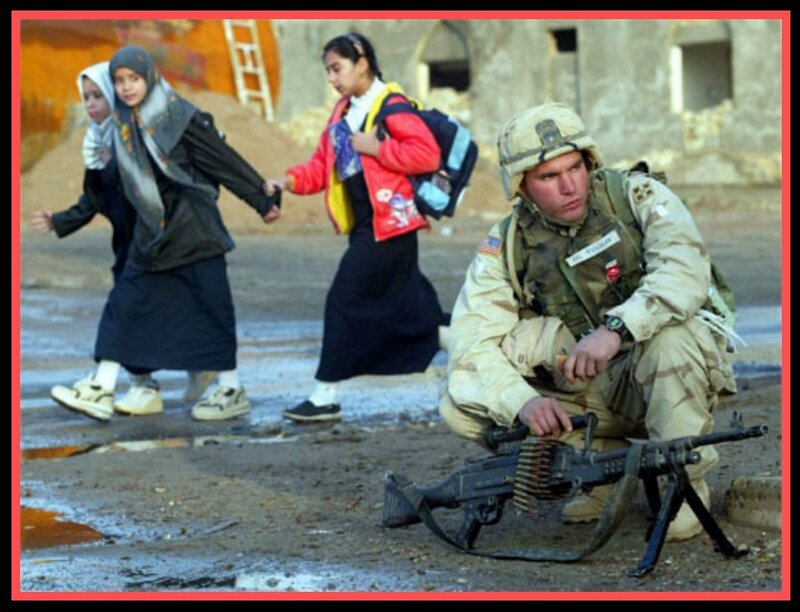 "This kid could have died from this," Sgt. Dan Boland said. "There's a bunch of vital organs in there." Police on Friday warned against playing with bullets or guns. Children should tell their parents about the bullet, and parents should call the police to dispose of it. "It's like lighting a firecracker and throwing it, then going to pick it up when it doesn't go off." Boland said. "It could blow up in your hands." Officers didn't find a gun in Delgado's house. No charges will be filed against his parents, police said. Rivrdog and I are still working out the details for putting on a indoor bowling pin shoot in Portland, Oregon. The date has been set for March 11th. All of the details, range location, and so forth will all be posted here, on Rivrdog's site, and at the club itself. I have been a regular and enthusiastic gun owner and shooter since the 50’s, but only in the last five years have I started seriously competing in handgun events. Although I regularly shoot in postal matches, hanging plate matches, and once in a while a silhouette handgun match, by far my favorite is head-to-head bowling pin shooting. At the present there are two clubs putting on bowling pin shoots in Washington State, the Custer Sportsman’s Assn. In Custer, and the Central Whidbey Sportsman’s Assn. in Coupeville. Once a year there is a huge pin shoot in shoot in Missoula that I also attend. The challenge of pin shooting is trying to shoot quickly, but accurately, while dealing with adrenaline induced “buck fever”, since you are shooting head to head with another shooter. 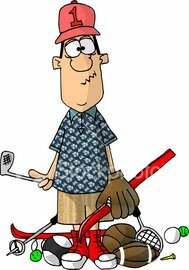 I have volunteered to help you all to put on an indoor pin shoot, hoping that everyone has a good time, and perhaps more shoots will follow. For obvious reasons, absolute safety is a must, and for this reason I have modified the outdoor rules a bit. Beyond normal range safety, a couple of other factors need to be addressed. When shooting pins outdoors, usually you must get all of the pins off of the table, not just knocked over. That means shooting pins when they are lying on their side. Unfortunately, if you hit high on a pin on its side, the bullet can be deflected steeply upward. Setting the pins close to the berm and/or overhead steel plates solves this problem, but that isn’t always practical in an indoor range. For indoor pin shooting, I have designed a modified version of a saw horse as a pin table, narrow enough that a pin knocked over will fall to the floor, and won’t require a second shot. A second concern is that of bullet bounce-back. Fully metal jacketed bullets (FMJ), especially in .38 or 9mm., rather than penetrating or mushrooming, will sometimes bounce back with quite a bit of velocity. Several years ago a guy sitting next to me at CWSA had his safety glasses shattered and we had to take him to the hospital to remove the pieces of safely glass from his eye. Fortunately there was no permanent damage, but he wore an eye patch for about a month. 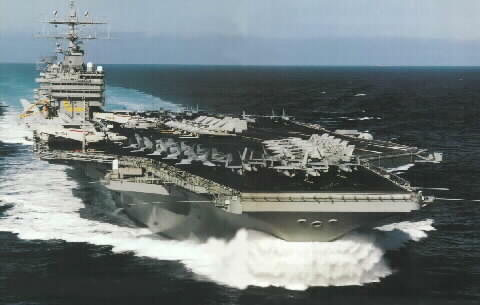 FMJ bullets have not been allowed either at Custer or at Central Whidbey for several years. Plated bullets, hollow points, or lead bullets are not a problem. KeeWee and I are both looking forward to coming down and helping to introduce pin shooting in your area, and I hope we have a good turn-out to give it a try. I will try to bring several Coupeville pin shooters along for the fun. Feel free to pass this letter around amongst your members, board, and officers, and if you have any questions, feel free to ask. Hope to see you all at the pin shoot! The Walther G22 .22 Caliber "Bullpup"
Lookin' for that one last Christmas present for the gun nut on your list? Well, here you go. The Walther G22 "Bullpup" .22 caliber rifle. As is typical with bullpup designs, the action is moved well back into the stock, greatly shortening the overall length, without compromising barrel length. Yep, that rectangular hole on the side is where the empties come out! This could be a problem for a left-handed shooter, as hot brass being poked into your ear does tend to be a bit distracting, to say the least. 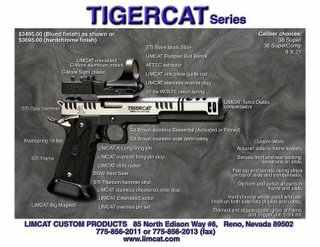 Fortunately, Walther took that into consideration, and the G22 is also available in a left handed version. 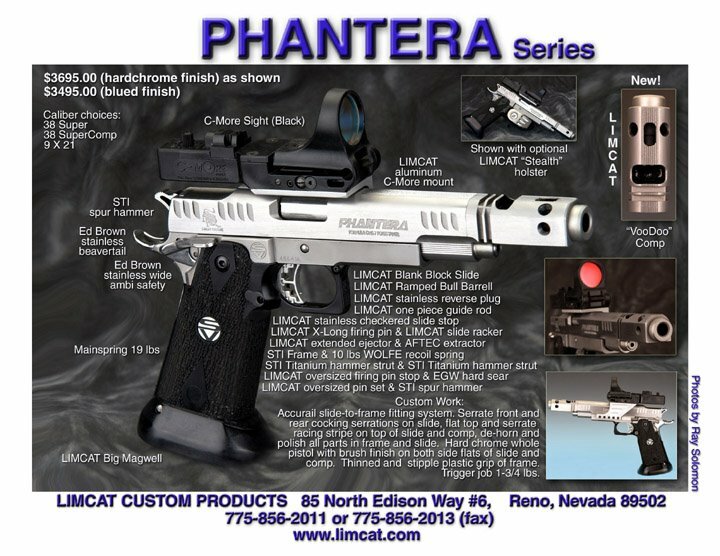 Some of the other interesting features include an adjustable length stock, black or camo color scheme, Weaver style mount for optics, and a ten shot removeable magazine. 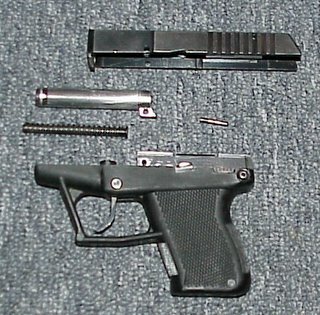 I wonder how long it will take for someone to come up with a twenty or thirty shot magazine for the G22? At somewhere around $400. the G22 is certainly not the least expensive .22 out there, but Walther has been known to build some quality stuff, and I expect this is no exception. For more information on the Walther G22, or other Walther products, have a look at Walther's website. The proposed handgun ban in Canada has been a hot blog topic the last day or so, and I've got a thought or so to add to the mix. First, Canadian liberal leader Paul Martin only proposed the handgun ban as a part of his campaign promises if his Liberal party gets re-elected. It's not the law, at least, not yet. Now, hadguns are already very tightly controlled in Canada, and it's been that way for roughly sixty years. If the Liberals do not get re-elected, the gun ban will not occur. If they DO get into power, it MAY occur, or maybe not. I'm kinda thinkin' that Mr. Martin made this proposal knowing full well that the prairie provinces, the Canadian counterpart of the American "Red States", would go ballistic in outrage. Maybe this was sort of a straw man deal, with full intention to "compromise" at something still more restrictive that what they've got now, but not as extreme as full and outright handgun bans. I think this is only a political tactic to slip in some more restrictions, while lulling the Canadian gun owners into a position of saying to themselves, "Boy, are we lucky we stopped the total handgun ban, and we only had to give up........". That's what I think is going on here, but I think the politicos might just have "misunderestimated" the Canadian people, as liberals often do.